Direct, non-stop door to door ground transportation services to and from your home, hotel, or office, to all Chicagoland airports. We will plan the scheduled pick up according to your instructions and will meet you at the gate or in luggage area. Just leave your worries on us when it comes to transportation. Just sit back and relax in our comfortable vehicles. For many people, riding in a chauffeured vehicle is considered by many corporate clients to be a functional necessity, rather then a luxury. A quiet drive inbound is perhaps the last opportunity to get organized prior to a busy day. We remove the pressure of traffic, getting around in a strange city, and parking. A professional chauffeur know when to help with baggage, how to get around, where to dine and points of interest. Our purpose is to help busy executives be flexible and use their time most efficiently. Your wedding day is finally here! After the endless months and months of stress and planning, your special day has now been turned over to the professionals you have entrusted to provide you the service you deserve and expect. 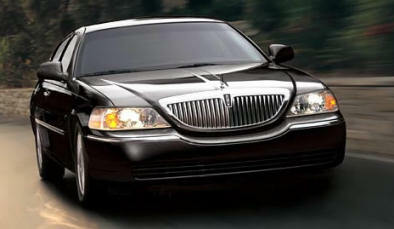 Chicago Limousine & Cars service understands what you have gone through to this day. Every detail is checked and every effort is made to make your ride to your wedding as comfortable and stress free as possible. Your chauffeur will assist you throughout your wedding; from laying out your bridal runner to pouring you champagne to assisting you with your dress and much more. These are the little things which our customers have come to expect from us. Click here for more info. Nights out in a Limo! For the special occasion when nothing but the best will do, you need one of Chicago Limousine & Cars service luxurious limousines. let us add some sparkle to your special night with our mood lighting, climate controlled air, moon roof,, CD stereo system, lighted bar and a chauffeur attentive to your every need! This is perfect complement to romantic weddings, fantastic restaurant tours, anniversaries of note, dinner and theatre, or a special concert. For an unforgettable experience with a touch of distinction, don’t settle for anything less then Chicago Limousine & Cars service… dedicated to your complete satisfaction. Charters are billed at an hourly rate with a two-hour minimum. These rates apply twenty-four hours a day with no additional charges for late night trips. Rates are based on the desired/needed car type which include sedan (1-3 passengers), super (1-6 passengers), deluxe (1-8 passengers) and ultra (1-10 passengers). On any pre-scheduled charter, the vehicle (excluding sedans) will have a limited supply of soda and water; so if there are any special requests for beverages, it must be discussed at the time of booking. All regular charters require at least six-hour notice on cancellation or the trip may be billed in full. We will prevent you from wasting any of your valuable time driving when traveling to our area. Let us chauffeur you around town while you conduct your business in comfort. Business charters are essentially the same as regular charters except that they are only offered during certain business hours at a reduced rate. We do require a six-hour advance notice for cancellation. You will be picked up between the hours of 11P.M. and 5A.M. *We reserve the right to refuse any animal that we feel is inappropriate for travel, with the exception of seeing eye dogs. Includes everything you need to insure that your special day will be picture perfect. In the hands of our experienced, professional drivers, no detail is overlooked. It is one of the most important days of your life and has to be filled with wonderful moments. Our goal is to help to make your wedding day full of pleasant memories. Your wedding is unique and deserves special attention and Chicago Limousine & Cars takes pride in providing an excellent service for you. Please reserve your limousine as soon as you have a date, time and number of guests. Just call Chicago Limousine & Cars and we will take care of the rest.